Once you purchase one of our packages you are committed to your health journey. You have 6 months from the time of purchase to use this package. There are ABSOLUTELY NO refunds, all sales are final so be sure before you buy! By clicking proceed and purchasing you agree to these terms. 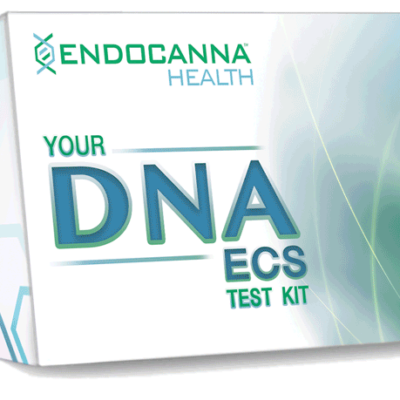 If you are purchasing one of our DNA packages please be aware that the fee is processed from the company itself, we do not process these fees. Once your results are in you will need to purchase a DNA results specific session (at a reduced rate) in order to review your results. Please follow the link provided below if this applies to your recent purchase. Thank you for your recent purchase! You are taking the first steps to a healthier version of YOU! "Give people an environment where their health can flourish instead of being suppressed". Have you been tested by your GP and told that your thyroid is “normal” and everything looks fine? But yet you still feel like crap and know something is not right. Then this is for you. Holly Warner Health Team works together to get you the most comprehensive labs to show what your levels are REALLY at and of course offers you executive healthcare to get those hormones and thyroid issues balanced out to optimal levels. You have access to Holly, her clinical approach to nutrition, comprehensive labs, a nurse practitioner to prescribe bio identical hormone therapy or thyroid if necessary and full follow up. When you think you have found the answer, only to reveal other underlying conditions, you may feel hopeless. Remember that these are symptoms of a deeper root cause, finding and healing the root cause will heal the surrounding symptoms. They are a manifestation of the root issue. Is a headache just a headache or was it caused by hunger, lack of sleep or stress? When you get the rest required, have a meal or go on a stress releasing yoga retreat do you feel better? So the headache was just a symptom of a deeper issue. The same can be said for many health issues. 3 PM slump – but you get a second wind in the evening which can also mean having a hard time falling or staying asleep. I run a comprehensive, non-invasive (saliva) adrenal panel allowing you an in-depth look at your stress hormones and how they are affecting you. I test not once but four separate, specific times in that one day to give an accurate reading of your cortisol levels, DHEA and HPA axis. LEAKY GUT SYNDROME. FOOD INTOLERANCE. SIBO (SMALL INTESTINAL BACTERIAL OVERGROWTH). AUTOIMMUNE DISORDERS. YEAST. FUNGAL & PARASITIC INFECTIONS. FOOD ALLERGIES. ACID REFLUX. DIARRHEA. BLOATING. CONSTIPATION. FIBROMYALGIA. IBS, AND OTHERS. Your gut is home to trillions of beneficial bacteria. You have 10 times more of these bacteria in your gastrointestinal system than you have cells in your body. This highly sophisticated system is where 80% of your immune system resides. 95% of your body’s serotonin (the “feel-good” hormone), is found not in the brain but in your gut. Your microbiome contains 100 trillion bacteria, makes up 80% of your immune system and contains 10x more bacterial cells than human cells. Due to the gut-brain axis the health of your brain and mood (this includes anxiety and depression, are dependant on the health of your gut. In turn the health of your gut (microbiome) is dependant on the health of your brain. ADRENAL FATIGUE. HORMONE IMBALANCE. INFERTILITY. SLEEP PROBLEMS. LEPTIN RESISTANCE. LOW ENERGY. METABOLIC SYNDROME. OBESITY. PRE-DIABETES. SKIN PROBLEMS.TYPE II DIABETES.WEIGHT GAIN. These are the facts that surround hormonal problems- a lifelong struggle for millions of people. Crash and fad diets, pills, shakes and medication can go on for years with little to no success. We understand that the inability to overcome hormonal problems can be very discouraging. That’s why we incorporate hormone protocols into our programs. Feel like you may be going crazy? It’s not you- it’s your hormones! 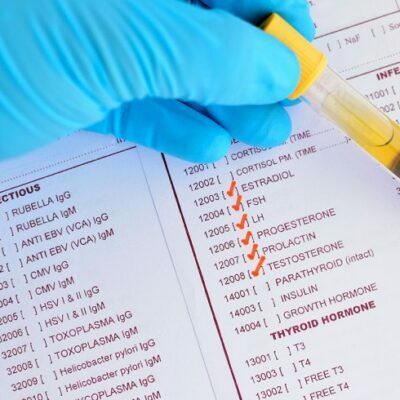 More and more women are suffering from thyroid issues, what’s worse is that Hashimoto’s autoimmune thyroid disease is on the rise at alarming rates. Many go undiagnosed as they are tested on a surface level and not thorough enough labs are run to tell the whole story. Have you felt off, had your thyroid tested only to be told you are fine and left the doctor knowing something was NOT fine? That’s why we are here. We listen to your concerns and test in a more comprehensive way. When it becomes an issues that is out of our scope of practice you are referred to one of our expert functional medicine practitioners. Why suffer, get started on your path back to health. Don’t forget to take a peak at my article about thyroid health, you are going to want to read this one. Want to support your adrenals and thyroid on your own? This is a great article walking you through some of my favourite tips and tricks. BRAIN HEALTH ANXIETY. BRAIN FOG. CHRONIC FATIGUE SYNDROME. DEPRESSION. MEMORY LOSS. MOOD ISSUES. GUT BRAIN AXIS. Brain ISSUES are a silent epidemic around the world. The numbers that surround anxiety-related disorders, depression, and the astounding use of prescription drugs do not often get to the root cause of the problem is unacceptable. Holly Warner Health is concerned with finding the underlying root dysfunctions that give rise to chronic brain problems. Brain fog is lifted, memory is sharpened, depression and anxiety are reversed when you restore health naturally, this is the functional nutrition model.